A Quebec bus company is defending a controversial decision not to allow students to read on their school buses, saying passengers are asked to keep all objects in their bags for safety reasons. 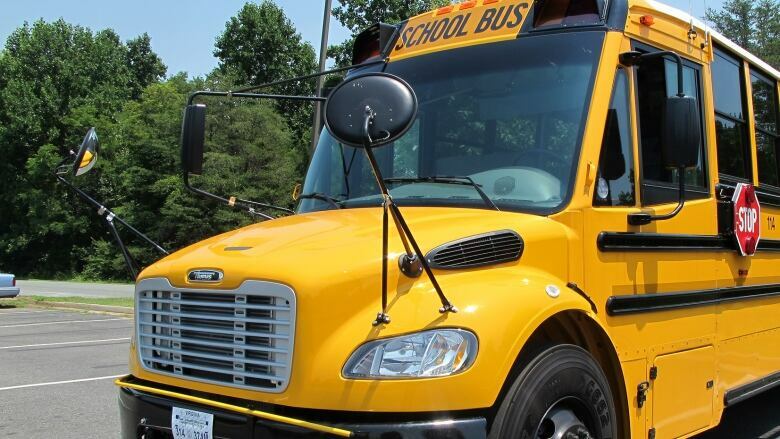 Nancy Ménard, director of operations at Autobus Richelieu, said students are prohibited not just to take out books on the bus, but other objects too — such as toys and electronic devices. "We prefer that people don't take things out of their bags," she said Thursday. "Our only goal is to make sure students are safe." Ménard said the regulation applies to all of its school buses at the recommendation of the Hautes-Rivières school board. The policy came under fire after Sarah Auger, an eight-year-old girl in St-Jean-sur-Richelieu, complained she was no longer allowed to read books on the school bus. The bus driver suggested fellow students might stand up to see what she was reading or she might poke herself in the eye with the corners of the book. Ménard said criticism of the policy is unfair. ​"We have to put it in the context that there are 50 students on the bus," she said. "[Drivers] can't check what everyone is taking out of their bags." She said the route in question takes a total of 20 minutes and Auger's stop is one of the closest to the school, making her ride just over 10 minutes. In a statement released Wednesday, the school board also defended the rule, saying all personal belongings of students, including books, were required to stay in their bags during the duration of their trip home. Raynald Marchand, general manager of programs for the Ottawa-based Canada Safety Council, said it likely comes down to making things simpler and safer for everyone. "I don't think it has much to do with reading on the bus," Marchand said. "I think it has to do with keeping things in the bag and the bag under the seat."